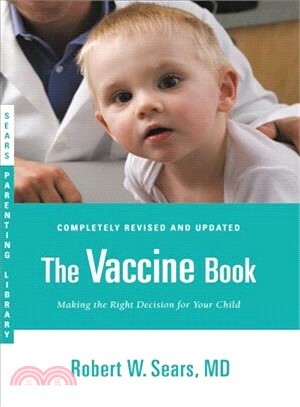 THE VACCINE BOOK provides exactly the information parents want and need as they make their way through the vaccination maze. Robert W. Sears, MD, FAAP, is a board-certified pediatrician in private practice in southern California. Dr. Bob received his medical degree from Georgetown University and completed his pediatric training at Children's Hospital Los Angeles. He has co-authored six books in the Sears Parenting Library, including The Portable Pediatrician and The Baby Book. He is also the author of The Autism Book and co-author of Happy Baby. He lives with his family in Dana Point, CA.